DISCLAIMER: The following are traditionally known benefits specific to the ingredient. The product is a food supplement and does not make any claim it can heal the following ailments. IMMUNE+++ is your front line defense against pathogens and gives the body the tools it needs to fight off foreign organisms and bacteria. It will improve your immune system. 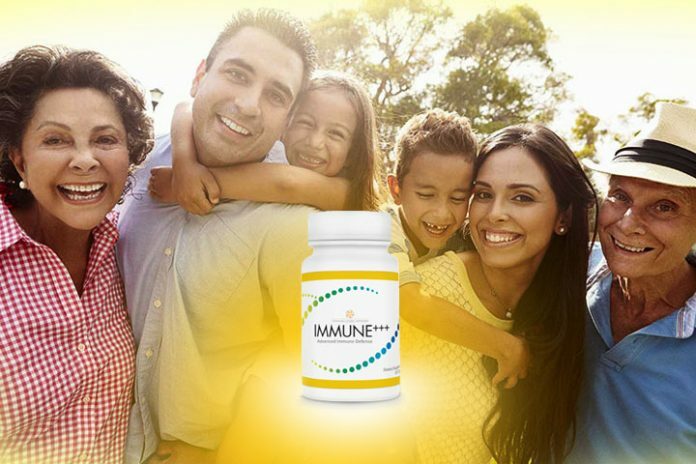 This product help boosts immune health and immune response to viruses and infections up to 24-hours of immune support. → Click here for IMMUNE+++ Frequently Asked Questions. I was interduce to this product.